After revisiting the page on why we need our emotions, I realised that the topic of love addiction could not be mentioned in the context of narcissistic abuse, without discussing Intermittent Reinforcement. Intermittent Reinforcement is a term that originated from B.F. Skinner’s theories on Operant Conditioning and Behaviourism. Skinner carried out studies with rats. When the rats pressed a lever, they were rewarded with food each time (Continuous Reinforcement). After a while, the researchers changed the parameters of the experiment. The rats were rewarded with food in an unpredictable pattern. Sometimes pressing the lever would reward them with food, and other times it would not. The pattern was completely random, so the rats could not predict whether they would receive the reward or not. The result of this was that the rats became obsessed with pressing the lever! After a while, the researchers changed the set up again so that there was no reward at any time when the rats pressed the lever. They were expecting that the rats would give up pressing the lever. However the opposite occurred. The rats continued to press the lever obsessively, even neglecting their own hygiene and other needs. This mirrors what happens in an abusive relationship and goes towards explaining why such a relationship is harder to leave than other healthier relationships. We become addicted to trying to get the narcissist to behave in a safe and sane way. This phenomenon also explains why it takes longer to get over an abusive relationship once it has ended. This is because the relationship is, by nature, not a relationship, but an addiction. Intermittent Reinforcement is the most powerful motivator and manipulation tactic. 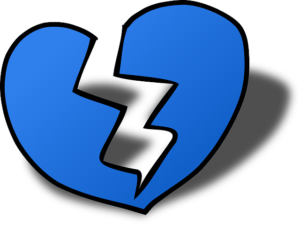 In an abusive relationship, the abuser will mix episodes of “love” in the mix of the abuse. The victim is so worn down and starved of affection, that by the time they receive the scrap of “love”, it feels like a nirvana. This feeling is created by the release of dopamine. The victim then associates the abuser with this feeling of relief from their pain (even though the abuser caused the pain in the first place). We desperately hang on to the hope of the narcissist’s promise that he or she is a reformed character. This causes a “trauma bond”, which is a very strong sense of bonding with the abuser. This occurs BECAUSE of the abuse, rather than IN SPITE of it. By leaving such a relationship, the physical body is forced to go into withdrawal, just as a drug addict does when they come off drugs. Hopefully by understanding that such a powerful force is at play will help you to understand and make sense of your feelings and what is going on. Also I found this knowledge to be helpful in building compassion for myself – an essential part of healing. Intermittent Reinforcement is a serious threat to your health and wellbeing. As we saw above, it led the rats to completely neglect their own self care. These patterns will leave you feeling confused and unable to make sense of anything (because the behaviour does not make sense – there is no rhyme or reason to it. The person who is doing the intermittent reinforcement is acting from a pathological belief system). Intermittent Reinforcement also explains why No Contact is important (when it is possible to do so). For a narcissist, the “relationship” is never really over to them. They will keep coming back to you as long as they need their drug (Narcissistic supply). A behaviour, such as checking emails, is another example of Intermittent Reinforcement. We are rewarded with an email at inconsistent and unpredictable intervals. The occasional times when we receive a reward make up for the many other times when we check the emails with no reward. 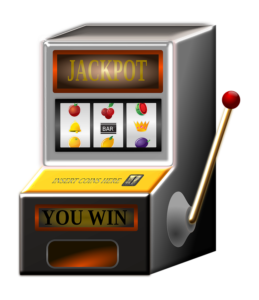 There are many other examples of Intermittent Reinforcement, such as gambling and slot machines. It also explains why, if you give in to a nagging child once, then the child will continue to nag and push your boundaries. They will learn that after a certain amount of time that they will get what they want. This is one reason behind why some children are labelled as “spoiled”. How do you know when you are being subjected to Intermittent Reinforcement? You find yourself obsessing over what the other person meant / intended / is thinking etc. You find yourself second guessing yourself. You rationalise and talk yourself out of your gut instincts. Will a partner who is treating me in this way ever change? A person who has a personality disorder such as narcissistic or antisocial personality disorder is aware that they are manipulating their partners in this way. They are unlikely to ever change, as this behaviour rewards them. There are other, non-personality disordered people, who have insecure attachments. For example, someone with an avoidant attachment style may pull away due to an underlying fear of intimacy. This type of person would need to be willing to work with their partner to form more consistent patterns. They would need to process the underlying feelings and beliefs that come up when they feel like pulling away. How do you take back your power? If you are on the receiving end of Intermittent Reinforcement, it is important to set clear boundaries and stick to them. The more consistent you are with your boundaries, the less power the other person has to manipulate you. State your boundaries once and then stick to them. Do not keep repeating them if the other person is not listening. Honour your feelings as they come up. If something does not feel right, pay attention. The body never lies. Our instincts are built upon a lifetime of awareness in our subconscious. This is much more powerful than our limited logical and rational minds could ever fathom. Intermittent Reinforcement can only work if the person is offering / withholding something that you want / need. Ask yourself what it is that you need and search for ways to provide these things for yourself. Realise that having a sense of security is the only real way to have a relationship with someone. Do not settle for anything less. If you have been affected by Intermittent Reinforcement and you are looking for support to overcome a toxic trauma bond to someone, you can either contact me or book a free consultation for coaching.